The CAIR Therapy includes a Mind-Body Exercise to release the negative emotions, like anxiety or anger, that affect the mind and the body. This therapy is especially effective with defensive patients and oppositional children. This is true because the patient chooses which emotion he needs to release, when he is ready to release it, and how much of this emotion he is willing to release. After the negative emotions are identified, the patient chooses positive emotions that he needs. Then he works to replace the negative emotions with these positive emotions. 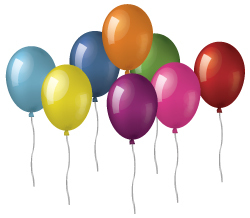 Dr. Braud has used the "Old Me New Me" relaxation program for over 30 years (Mimi Lupin, 1977, 2004). The research includes results using the "Old Me New Me" relaxation program and the CAIR Trauma Therapy (which also uses the “Old Me New Me” as the relaxation program) for our patients. The "Old Me New Me" program includes physical relaxation excercises and 11 visual imagery stories like "Trip to the Star," "Trip to the Beach," and other nature related imagery stories. A series of images are presented to patients to help them understand the difference between negative events, which cannot be changed, and negative emotions, which can be released. Below are two of these images. 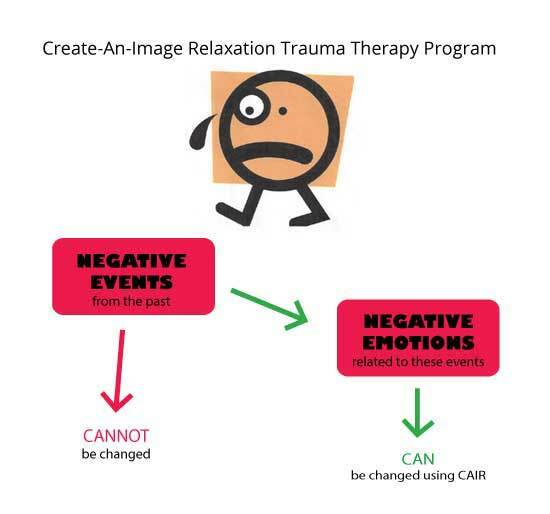 This picture is designed to make sure the patient understands the difference between past events they cannot change and negative emotions they can choose to let go of using the CAIR Therapy Program. The therapist explains that trauma, abuse, and negative events impact the conscious and unconscious mind. 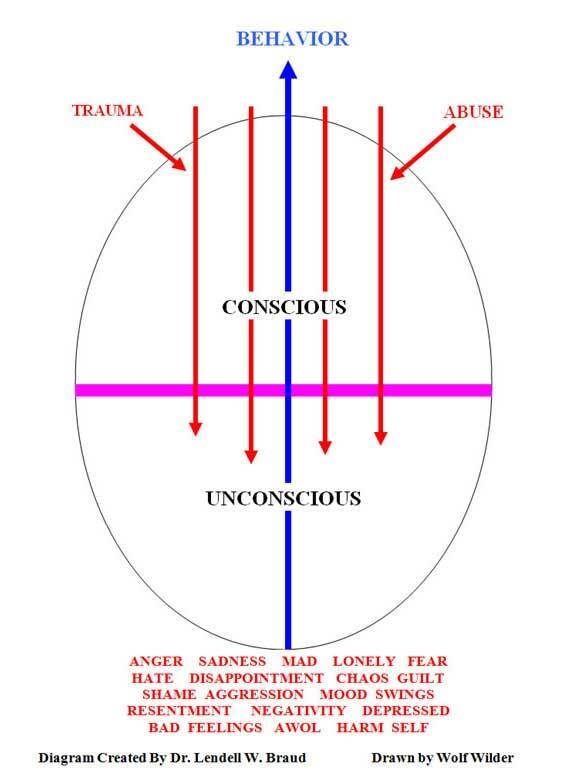 The purple line represents the fact that sometime we repress negative emotions, but they frequently effect our behavior. The patient reviews the negative emotions at the bottom of the oval and chooses the emotions they wish to release. This is a high-level description of the program. In order for it to be effective, it is necessary to follow the procedure precisely. If you are interested in learning the program, click this green button.